Any ladies who LOVE singing? 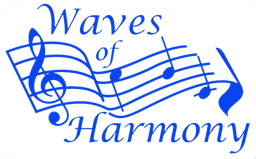 Waves of Harmony are a ladies barbershop chorus and we are recruiting. We sing four part close harmony songs and have performed on many stages including the Blakehay, Playhouse and even on the back of a lorry! We rehearse on Tuesday evenings in WsM town centre. If you would like to know more please look at our website wavesofharmony.co.uk or our FB page. You will have lots of fun and make great friendships. Alternatively, Contact BOB to pass on your details.